Mad scientists have never had it so tough. In super-hero comics, graphic novels, films, TV series, video games, and even works of what may be fiction, they are besieged by those who stand against them, devoid of sympathy for their irrational, megalomaniacal impulses to rule, destroy, or otherwise dominate the world as we know it. Dr. Frankenstein was the first truly mad scientist of the modern era. And what did it get him? Destroyed by his own creation. 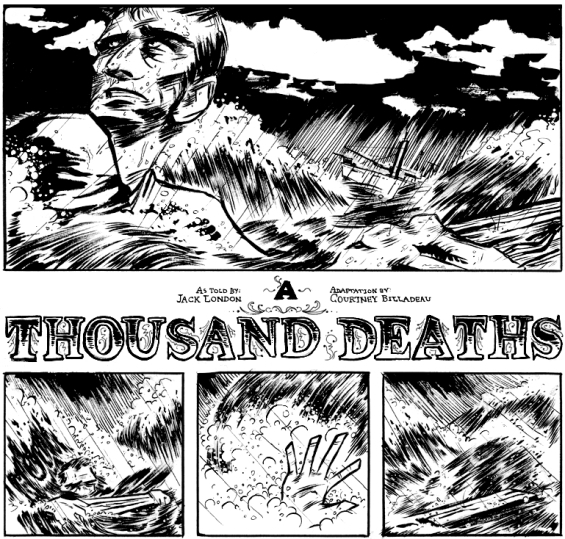 And Jules Verne’s Captain Nemo, a man ahead of his time as well as out of his head — what did he do to deserve persecution? Even Lex Luthor, by all accounts a genius, has been hindered not once, not twice, but so many times that it has taken hundreds of comic books, a few films, and no fewer than ten full seasons of a television series to keep him properly thwarted. It’s just not fair. So those of us who are so twisted and sick that we love mad scientists have created this guide. Some of the names have been changed to protect the guilty, but you’ll recognize them. It doesn’t matter, though. This guide is not for you. It’s for them: the underhanded, over-brained paranoiacs who so desperately need our help. What lies behind those unfocused, restless eyes and drooling, wicked grins? Why — and how — do they concoct their nefarious plots? Why are they so set on taking over the world? If you’ve ever asked yourself any of these questions, you’re in luck, because we are exposing their secrets, aiding and abetting their evil. It all awaits, within. Watch out, world! Full table of contents on editor’s site. I really enjoyed the first half of the stories in the collection but thought things got less interesting/slower in the second half. It may have been that some stories shared some similarities and the repetition got tiresome, but I don’t think so. I think it was actually that the second half of the stories had more of a serious tone to them that just didn’t go as well with me as the more humorous first half. I really liked Chris Claremont’s introduction to the book. I thought it brought some interesting insights into why the bad guy is so important for the hero. I thought John Joseph Adams’ introductions to each story were helpful although a bit confusing in the audiobook format (it took a few stories before I understood what the heck was going on with the scientific categorization). I thought they helped me get into the story faster since I kind of knew what to expect and I do think I enjoyed the short stories more as a result. Some would say they spoil the stories but I didn’t think they revealed any more than the back of a novel would about its story. There are 22 stories in this collection. 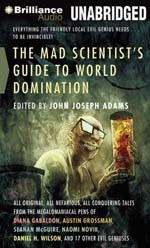 Many are humorous and have interesting spins on the common tropes you’d expect from mad scientist or superhero stories. I generally liked all the stories but I’d say my favorites were Professor Incognito Apologizes, The Angel of Death Has a Business Plan, Captain Justice Saves the Day, and Rocks Fall. I didn’t overly dislike any stories except for The Space Between by Diana Gabaldon. The story is by far the longest and I had trouble following the different character’s stories and understanding the point of the story. It appears that story is from a series by her so it may be that I didn’t like it because I haven’t read her other works. I thought all three readers did a fantastic job with their voice acting in this collection. I would definitely listen to books performed by these readers again. I particularly liked Mary Robinette Kowal’s performances. She does a great job doing voices of people trying to be patient with the mad scientists – whether it be their therapist, assistant, or fellow evil genius. Various sites have posted some of the stories online to read for free, compiled on the editor’s site, and those would be a good litmus test if this is the book for you. Professor Incognito Apologizes: an Itemized List by Austin Grossman is a great example of the more humorous offerings and The Mad Scientist’s Daughter by Theodora Goss is a good example of the more serious stories. 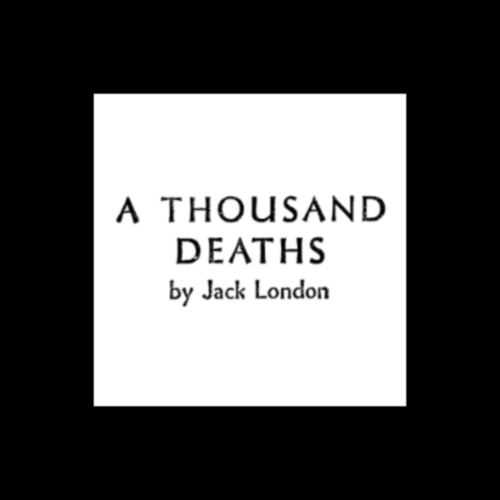 Here’s Julie Hoverson’s reading of Jack London’s A Thousand Deaths, it was the first published story that London was paid for – and it’s Science Fiction. Julie recorded it for us 113 years after it’s first publication (in May 1899) and she did it specifically for your (and my) pleasure. This is a story that really deserves to be heard (and read). 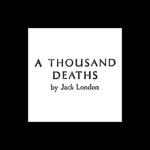 A Thousand Deaths will also be the subject of an upcoming readalong! 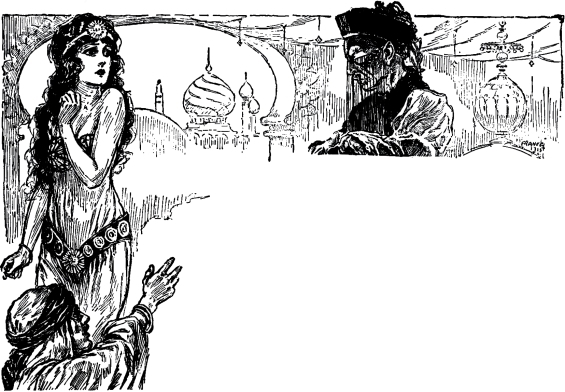 First published in The Black Cat, May 1899. And here’s a print friendly |PDF|. The Invisible Man by H.G. Wells, the public domain status of the writings of H.G. 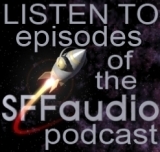 Wells, Luke and Jesse in conversation, The War Of The Worlds, The Island Of Dr. Moreau, The First Men In The Moon, Luke’s review of The Time Machine, Sussex, invasion literature, mad scientist, horror, thriller, the village of Iping, invisibility, scientific invisibility, What Was It?, haunted house, the 2000 film Hollow Man, Smoke by Donald E. Westlake, the development of the invisibility meme, creating tension in a scene with exposition, Luke’s review of Fahrenheit 451 by Ray Bradbury, the Steven Spielberg, George Lucas, Lawrence Kasdan Raiders Of The Lost Ark story conference |PDF|, a Nazi monkey, Griffin (the titular Invisible Man) as an anti-hero, The Ring Of Gyges (found within Plato’s The Republic), invisibility as a cipher for moral character, invisibility is good for nothing other than spying, if you’re an invisible person you’ll need a confederate, The Hobbit and The Lord Of The Rings by J.R.R. Tolkien, Miss Pim’s Camouflage by Lady Stanley, WWI, Invisible Agent, WWII, isolation, moral isolation, anonymity, Eric Rabkin’s point about, refractive index, albinism, the sleight of hand that H.G. Wells uses in The Invisible Man and The Time Machine, The Crystal Egg by H.G. Wells, Mars, long distance communication, what is the serious problem with invisibility? [the answer is a DEFEATER for any truly HARD SF story], the background for The Time Machine is Charles Darwin, evolution and the class system, the background for The War Of The Worlds is invasion literature, war and colonialism, Eddie Izzard‘s colonialism through flags, the background for The Invisible Man is personal responsibility, isolation and moral character, Thomas Marvel (the tramp with an invisible friend), the parallels between The Invisible Man and Treasure Island by Robert Louis Stevenson and Fawlty Towers, psychopathy, sociopathy, the one ring’s invisibility, invisibility for burglary is only half as useful as you’d expect, imagine the Sauron’s ring in the hands of Denethor, Boromir, or Gandalf!, the filmspotting podcast, visit Luke’s website! Captain Nemo is the genius commander of a strange underwater ship “Nautilus”, which he invented to wage war against civilization. 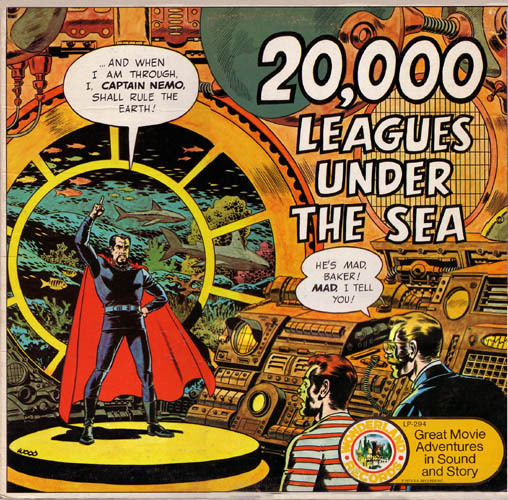 Captain Nemo’s base of operations for his fiendish scheme is the lost continent of Atlantis, which has sunk to the bottom of the sea centuries before. Performed by something called “The Wonderland Imagination Theater” this is an old time radio style audio dramatization, complete with clichéd lines like “As you well know, my name is…”. What’s worse is that very little of Verne’s plotting is retained, whoever adapted this for audio seems to have decided he or she knew better how to plot a story than the inventor of modern science fiction! Production values are good, with appropriate and well-composed music, sound effects and background noise. 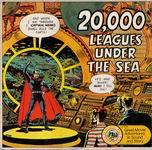 Also on the plus side, the LP has a great campy comic book style cover, complete with word balloons. In fact if you think of the whole production as camp, its not all that bad. Unfortunately I don’t think this was what they were going for, admittedly the production is designed primarily for children. Perhaps it was sufficiently interesting for a young child back in 1974. For me it was a disappointment.